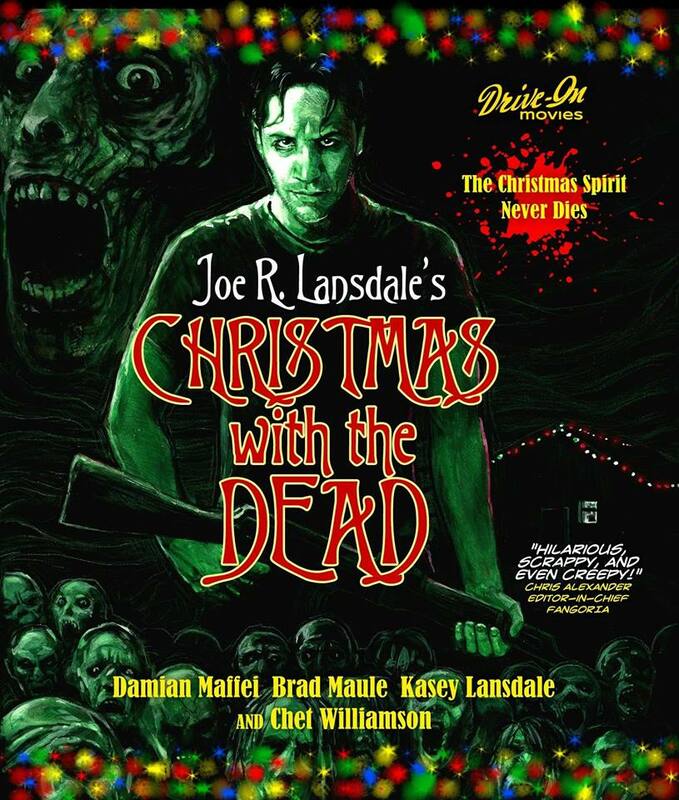 Joe R. Lansdale’s Christmas With the Dead is now available on DVD. The film tells the tale of Calvin, who sets out to right his wrongs and fulfill a promise to his wife, making it the best Christmas ever for his family. If only it weren’t June and the majority of the population, including his wife and daughter, hadn’t been turned into flesh-eating snappers by a mysterious atmospheric phenomenon, he’d be in pretty good shape. Driven by guilt in a race against the apocalyptic clock, Calvin teams up with G.M., a wily ex-garbage man turned undead slayer, as together they attempt to deck the halls during the most magical time of the year. It’s Christmas in June. And snappers be damned. The lights and decorations are going up. From the brilliantly twisted mind of mojo story teller Joe R. Lansdale comes Christmas With the Dead, starring Damian Maffei, Brad Maule, and Chet Williamson.